Lee Rosenthal is a Partner who practices in the areas of transportation law, product liability, insurance defense, premises liability, commercial litigation, bad faith, and insurance coverage issues. Lee has experience in all phases of claims handling and litigation through trial and appeal. 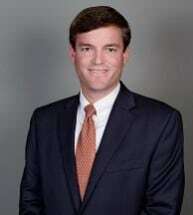 Prior to joining Casey Bailey & Maines, Lee was a partner with a national law firm.